I am a sucker for anything that involves a cute mini glass jar, but even if I wasn't, I would still think this snow globe necklace was pretty fabulous. What a fun little trinket to wear around for Christmas. I know my daughters would love it too! Maybe a fun stocking stuffer for one of your girls? 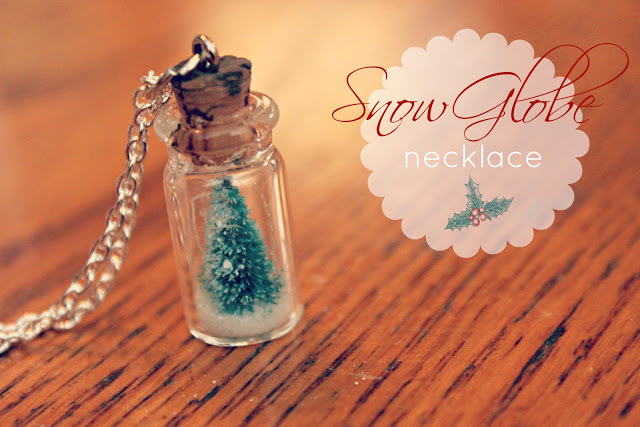 You can check out how to make this DIY snow globe necklace over at Eat Sleep Make. how sweet! my mom would LOVE that! This is so darling I love it! I want to make one for me and my daughter - thanks for sharing!